According to a new rumor out of China, LeEco (formerly LeTV) will out a new smartphone this month. What's special about the device is that it'd be the world's first Snapdragon 823-powered phone. For the uninitiated, the SD823 SoC is the same as the S820 model, except that the quad-core Kryo CPU will run on a higher clock. The rumor says the handset will be made official during the Mobile World Congress (Shanghai), which is scheduled for June 29-July 1, 2016. 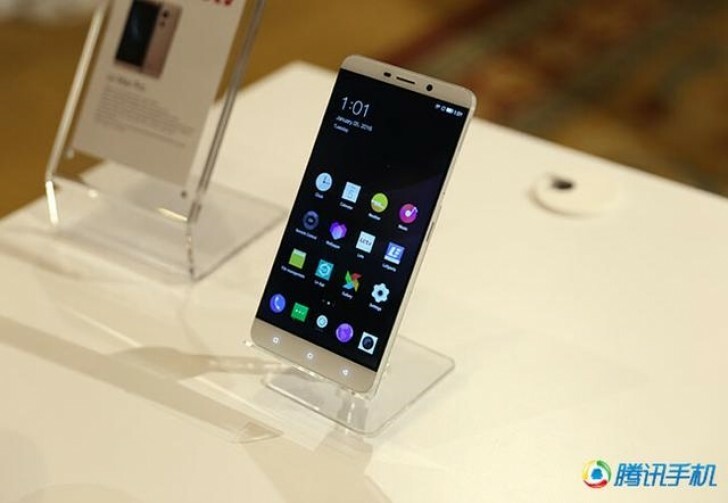 If you recall, LeEco hit the headlines when its Le Max Pro smartphone (shown above) became the world's first SD820-powered phone to go on sale. So, we can't dismiss the latest rumor as just hot air. Many other upcoming smartphones, including the ZenFone 3 Deluxe, Samsung Galaxy Note 6 (or Note 7 according to latest reports), the rumored HTC Mini, Mi Note 2, and Nubia X8 are also rumored to be powered by the new Qualcomm SoC. LeEco is launching in the west with both media and tech at prices well below the established brands. I believe they have the potential to become a major player as they aren't just trying to peddle phones. Bad hype company. Come back when you have managed stable software and near stock Android. This brand has no business in the west, it's shoddy, like most China brands.